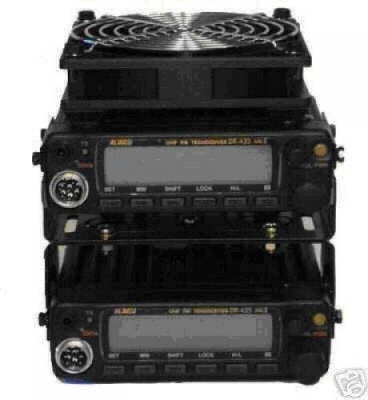 This package is for 2 sets of Brand New Alinco DR-435MKII (T) Repeater with a Brand New controller and Repeater Interface, 35 Watts 440 MHz for mobile or fixed station operation. Professionally assembled and tested. Clean, clear audio, a great addition to the Amateur radio repeater world. CTCSS or DCS tone capability. Includes 2- DR-435TMKII mobiles, repeater interface, power cord, cooling fan (ball bearing), bracket and manual. No programming needed, just dial in your RX and TX frequencies and tones if needed, select the power level you want and your on the air. MARS modifiable (on request). What are included in the package ? ?